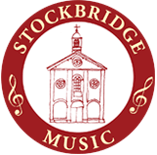 Had Jean Mouton been in St Peter’s Church Stockbridge for this additional Stockbridge Music concert (he was born around 1459 and lived for at least sixty years) a warm glow would have infused his spirit. Quite simply, Sansara’s performance of his Nesciens mater, one of the evening’s items, was divine. This choir, twenty one in all this time, spread themselves around the church down both the side aisles from east to west to sing the complex work written in canon form. We were wrapped in beautiful sound and treated to the vocal quality of the individual singers as the choir passed musical themes one to the other. But then Sansara has become a choir to rival any of this country’s finest. Some remain former Winchester choristers or quiristers, others with equal choral credentials have come on board. As with any of the best, all must possess unspoken musical understanding and matching voices to create balance and impeccable ensemble. Sansara ticks all the boxes. This programme was devoted to works inspired more by the human dimension of Mary mother of Christ than the majestic aspect. Whether the music was contemporary or Renaissance, the choir performed with impeccable accuracy. For example in Sir John Taverner’s Mother of God, alive with texture; Halgrimsson’s Joseph and the Angel, a modern setting of a 1396 manuscript; and three works by the choir’s associate composers, Oliver Tarney, Marco Galvani and Owain Park. The latter’s The Mother of God and in particular Celia MacDowell’s O Oriens place great demands on the singers in a wealth of exposed dissonance, sopranos singing notes in clashes next to each other for example, here superlatively. However it’s always a joy to hear music from the Renaissance in a dryer acoustic such as St Peter’s. Usually written originally for cathedrals, monasteries and abbeys, where their resonance swallows up the sounds, at least here musical detail and words are audible! Sansara relished shifting subtleties to and fro in works by Praetorius, Victoria, and des Prez. Thomas Tallis wrote Vidite Miraculum in chants followed by responses in six voices. The work has been described as possessing ‘heart-achingly gorgeous cadencies’. It does, and this performance proved it. With its philosophy of shared conducting the Sansara sound is now well established, though graduation and some inevitable dispersion will arrive soon. Some members will turn fully professional, others remain amateur. Our best hope though is that we won’t lose the ‘banner’. After all, this singing is the very definition of choral excellence.